This client from Worplesdon, came to The Billington Partnership with an issue of a smokey chimney. They had their chimney spray lined but this had taken down the flue opening to 200mm. Subsequently, when the client attempted to use the open fire, the large sized opening meant that the fumes and smoke just poured back into the room, making it impossible to use. After reviewing the problem, the best way to ensure a good draw whilst maintaining the aura of an open fire was to install a Jetmaster. 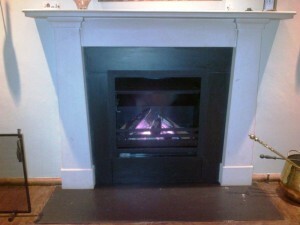 Furthermore, the Jetmaster Universal 600 open fire fitted perfectly into the existing width. 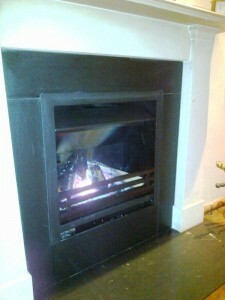 The images show that the installation was a success and the room remained smoke-free after testing it. 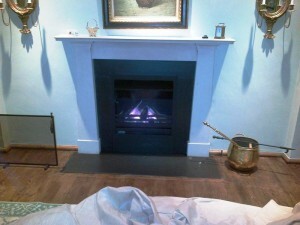 View another Jetmaster open fire installation by The Billington Partnership.